There was no decision. I didn’t have to choose a wet suit. It rained in Phoenix the day before the race. A lot. .02 inches. Which for Phoenix is close to biblical flooding. When it rains that much, they test the water in Tempe Town Lake. Those results take 24 hours to get back. They tested Saturday at 10am. Race time was Sunday at 7am. Phoenix, we have a problem. The Race Directors made the swim into a 5k run. Which was good. I was a little behind for the week in running frequency and miles. 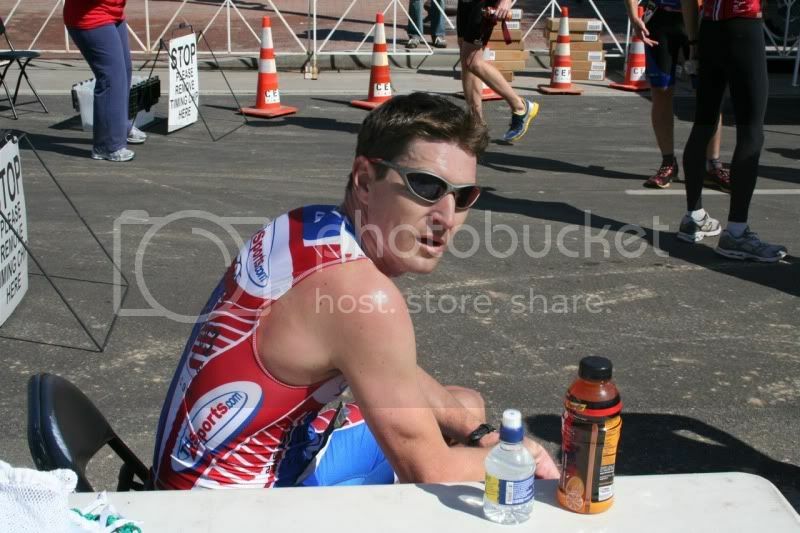 A 5k/25 mile/10k duathlon will go further to make up the lack of running then a triathlon will. I ended up 5th overall for the men. 2:02:50. After the first run I was in 11th place, but left T1 in 7th place. 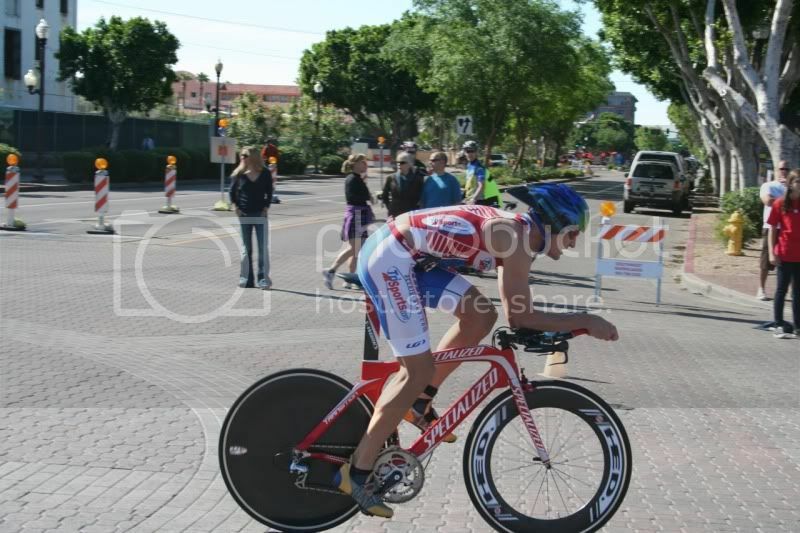 Rocked the bike with the third fastest split, left T2 3rd overall and with a pedestrian 40:08 10k lost 2 spots. But since they did wave starts all I really know is it was very crowded in the last 1.5 miles. There were a lot of people right at the 3 minute stagger ahead of me and it was going to be iffy as to who beat whom. All I really knew was I was leading my wave, was getting pressure from behind and I was running scared. My wave was the guys 35-44. The gun went off and since the start was up a small hill I cruised the start. Didn’t take me long to find myself in the lead which was exactly where I did not want to be. Soon a group of five of us formed. At the first turn, I surged a little and now there were 4. At the next turn I surged a little and now there were three. Shortly after that Brandon surged and now we were 2. I tucked in behind him and held the 2 yard gap for a bit. He surged again just past the mile marker and now he was by himself. After that he pulled away over the rest of the run. I think he was :20 in front heading into T1. I passed him there and never relinquished the lead in my wave. On the second run, he was about 1 minute behind me. 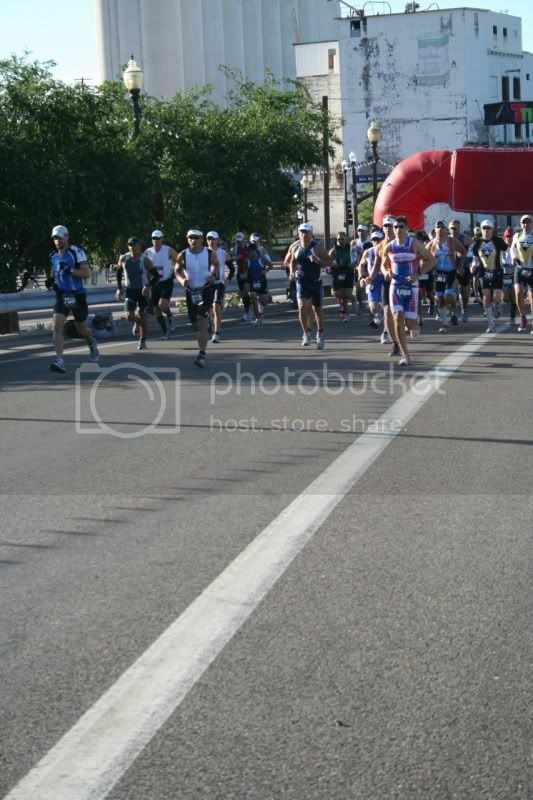 With 1 mile to go he got with in :10 before fear took over and shifted my running up a gear. This is the first time in ~ 20 years I haven’t broken 18:00 for 5k. I’m a little worried especially now that I’m racing masters. I’m also worried that I’ve become a one trick pony. Hang in for the run, ride everyone into the ground and hope I’ve gotten enough room to hang on. Certainly that needs to change. For you power geeks 25.2 miles in 62:25 AP 231. My power output confirms that my position on the bike is pretty solid and aero, at least I think so. Now if only I could get some solid wattage output. Good job Brian…Maybe I need to come over to push your watts up a bit. No reason you can’t push more watts than I. Great race Brian. Looking through those results I saw a lot of “usta-be” fast guys that aren’t all that fast now!